Candidates must have completed their Graduation and B.Ed Degree from a recognized institution or University. § Maximum Age Limit: 44 years. For Application fee details follow the official notification. A Personal Interview will make the selection of the applicants. We are here with a great news for the job seekers of Telangana State who are looking for the Teacher Jobs in TS DSE, this time the DSE Telangana has released 10887 vacancies for Vidya Volunteer in DSE TS. 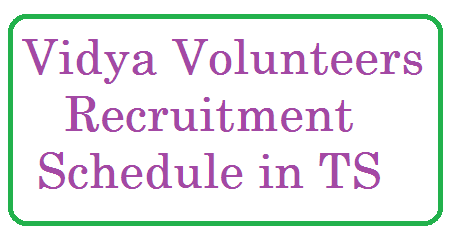 The candidates who are satisfying the eligibility norms as mentioned in the official notification are invited to participate in the Telangana DSE Recruitment Process 2017, for that the candidates first have to register themselves for TS DSE Recruitment 2017 in offline mode on or before the application submission deadline, i.e. 12th June 2017. § Visit the official portal of DSE TS, i.e. cdse.telangana.gov.in/. § Follow the latest notification section. 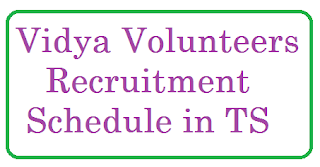 § Search for TS DSE Vidya Volunteer Vacancy Notification. § Read it after clicking on the link. § Download the application performa. § Fill all the entries in the application, as suggested in the official notification. § Attach the scanned copies of all the necessary documents with the application form. § Submit the application form to the CDSE office until 12th June 2017.